Celebrate Arbor Day Every Day! Welcome to Michigan Arbor Day Alliance! The Michigan Arbor Day Alliance (MADA) is a coalition of organizations and agencies dedicated to the promotion and celebration of Arbor Day throughout Michigan. Our dedication comes from our belief in the importance of trees and their role in community health and well-being. MADA is a program of the Eaton Conservation District in Charlotte, MI. by planting trees for bees! Bees and other pollinators rank at the top of the list of important insects, moving pollen from flower to flower to ensure pollination and the resulting production of many of our most important fruits and vegetables. Our supermarket shelves and dining room tables would look dramatically different if not for pollinators — especially bees. But in many areas, parasites, a lack of forage, and other factors are threatening bee health and survival. Trees’ flowers are a critical source of forage for bees, providing nutrient-rich pollen and nectar that bees use for food and to make honey. Click here to learn which trees to plant for pollinators. Would you like to receive our monthly e-newsletter? Email miarborday@gmail.com to be added to our list! Let us know if you would like to receive our Educator E-News or the MADA Tree News, or both! We want to help you plant trees! Our Tree Planting Grant helps communities across Michigan plant more trees. Click here for more details. Roughly 1,000 2nd and 3rd graders and their teachers/chaperones are set to attend this year's Arbor Day Celebration at Potter Park Zoo! This year we had over 500 5th graders participate in our poster contest. 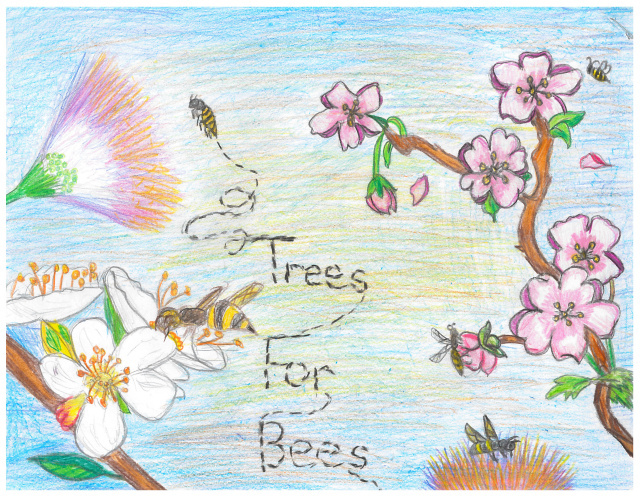 We had 46 fantastic poster contest entries featuring the theme 'Trees for Bees' from all across the state of Michigan! Click here to view this year's entries. 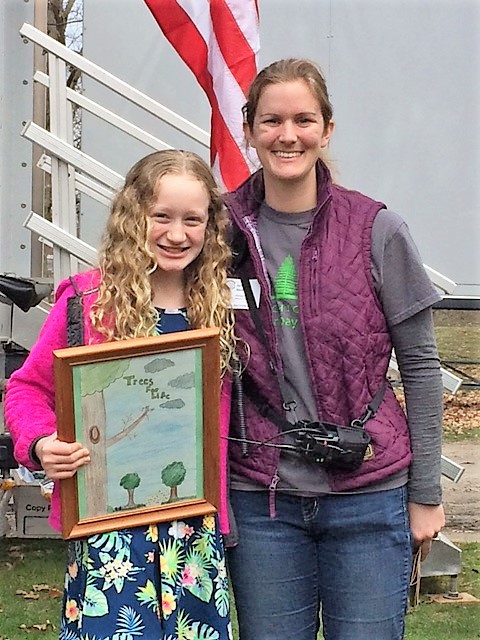 We are so happy to announce the winners of the 2019 5th Grade Arbor Day Poster Contest! 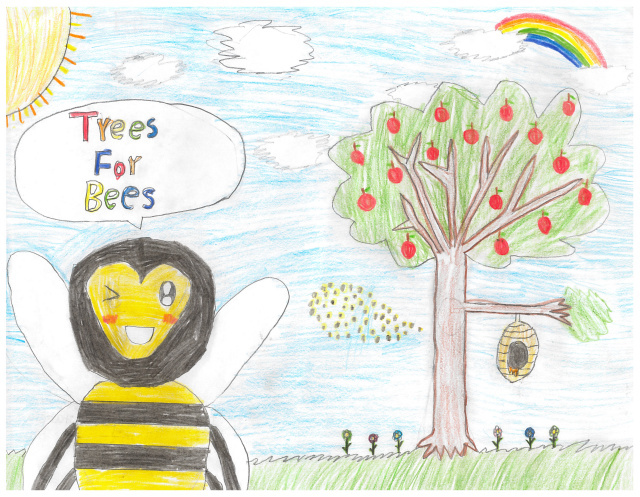 The theme was Trees for Bees, and we received over 46 fantastic posters from students all across the state! Like last year, our winners were chosen by popular vote. Congratulations to Fatima Lopez Garcia from Hope Academy of West Michigan for placing first! All entries are posted on our Facebook Page. 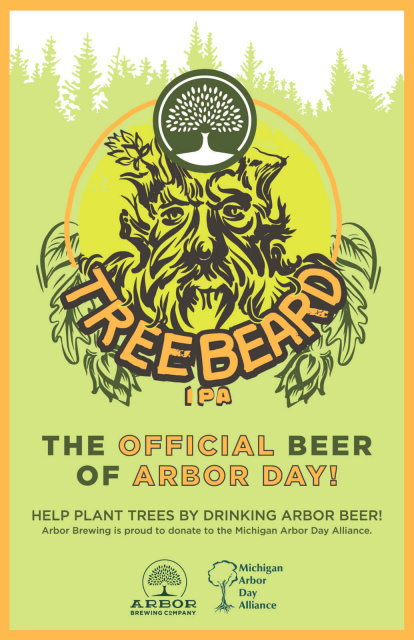 The Michigan Arbor Day Alliance is partnering up with Arbor Brewing Company for the month of April to help raise money for tree plantings near wetlands, lakes and rivers! Arbor Brewing is raising money through the sale of their Treebeard IPA and donating to MADA! Trees help naturally filter our water, and we know that clean water = clean beer! 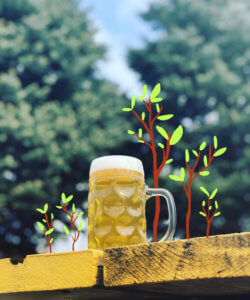 So what we're saying is... drink more beer to help us plant more trees! Click here to find a location near you that is selling Treebeard IPA! We are gearing up for our 2019 Arbor Day event at Potter Park Zoo on April 26th! 1,000 2nd and 3rd graders and their teachers/chaperones are set to attend this year's event. If you are a 2nd or 3rd grade teacher in Michigan and would like to attend our FREE field trip next year, check our "Arbor Day Celebration" page in January for how to apply. 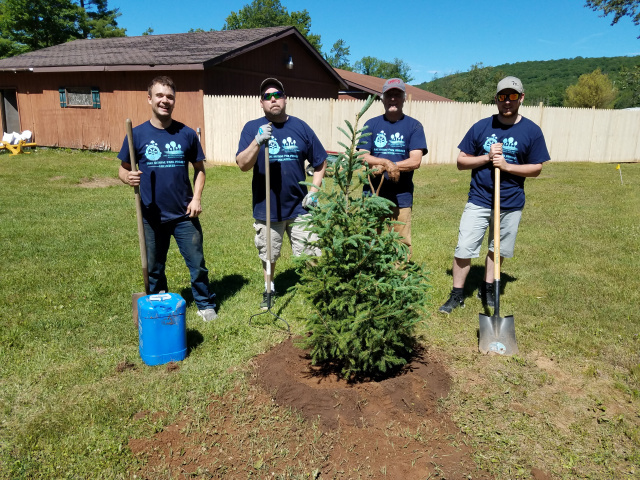 Our 2019 Tree Planting Grant cycle is now open! Applications are due by mail no later than April 30, 2019. Please visit our Tree Planting Grant page to download a grant application. We Won! In 2015, the Michigan Arbor Day Alliance was the proud recipient of the Arbor Day Foundation's Arbor Day Celebration Award. They put together a very nice video that was featured during the awards ceremony on April 25, 2015 along with all the other fantastic award winners. Be sure to check out the Arbor Day Foundation's website for photos. We are honored to be selected by the Foundation this year. Thank you for this great award. What have we been up to lately? Curious as to how many students came to Arbor Day? Who presented at the Celebration? Which fifth graders won the poster contest? What communities were awarded the MADA Tree Planting Grant? And why do we love trees?!? We are officially into fiscal year 2019 (October 1 to September 31), so take a look at our Year in Review Report for 2018! We will post the 2019 review in the winter, so check back soon! Check out the 2017 Year in Review report! Check out the 2016 Year in Review report! Check out the 2015 Year in Review report!